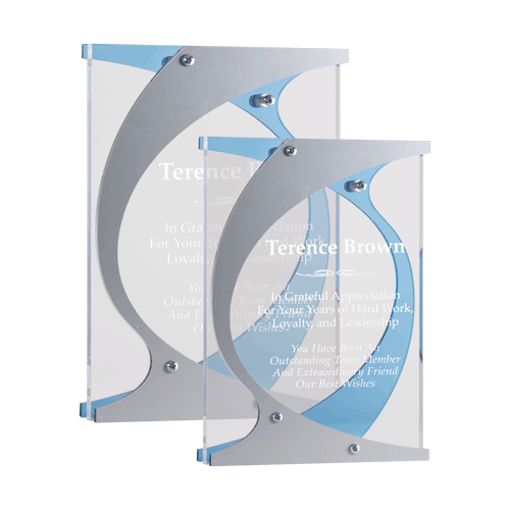 The Hooks Acrylic Award is a creative blend of crystal clear acrylic, matte silver and blue tinted Lucite. The Hooks, available in 2 sizes and named for its hook shaped curves is a unique free standing acrylic that will hook you into loving it. 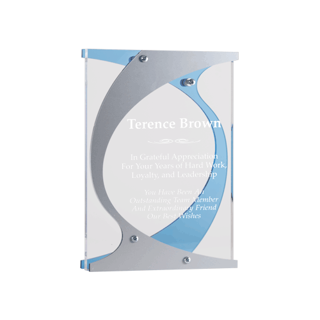 Blue, clear and matte silver acrylics held together with silver aluminum standoffs and plenty of room for engraving text and company logos make the Hooks a shop favorite. 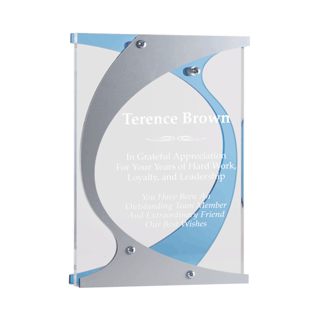 Often presented for appreciation awards to event sponsors and recognizing high achievements in the workplace.